Parsley Garlic Fries just might be heaven on a plate! All garlic lovers…keep reading…. These baked golden beauties just burst in flavor; a surefire pleaser for kids and crowds alike. The pungent bite from the fresh garlic and a lemony-herby goodness from the parsley balanced out with the mild sweet shallots will satisfy any French Fry craving in a much healthier way. 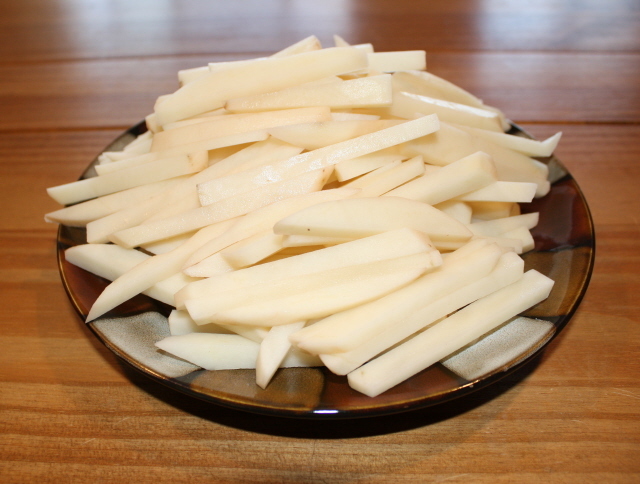 You will never go back to deep-fried fries again! 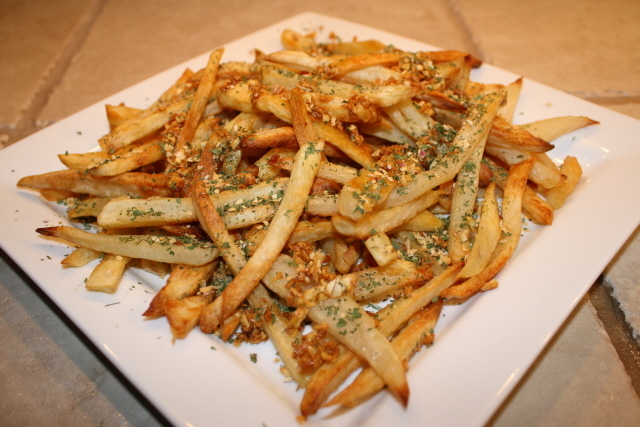 For this recipe, I used our Shallot Parsley Finishing Butter Blend but I didn’t blend it this time with butter, and just used it as a seasoning for the fries. I added more fresh garlic and then drizzled them with malt vinegar for that traditional London Pub taste! You could certainly blend and use the Shallot Parsley as it’s intended use as a compound butter and use in combination with the olive oil for a few extra calories. This is a great example in the versatility of our products! One other mention; if you are not a fan of malt vinegar, drizzle with some freshly squeezed lemon juice instead! 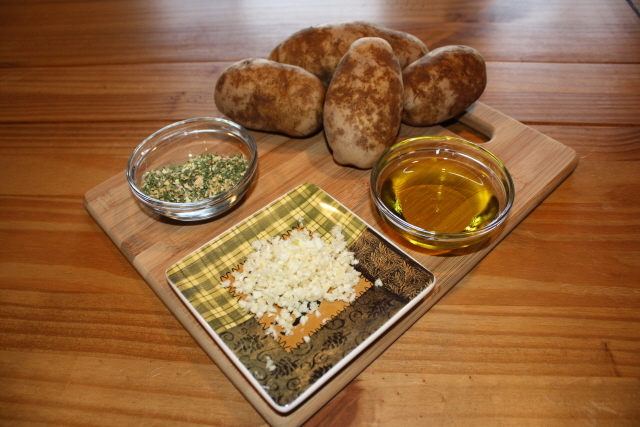 In a small skillet, sauté garlic in 1 T. of olive oil for 1 minute. 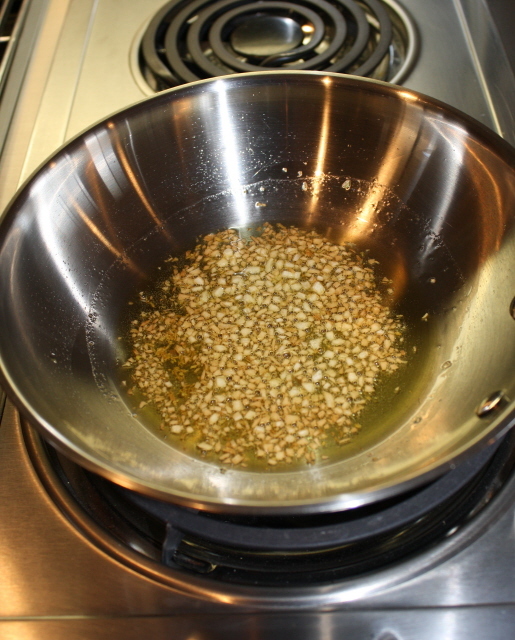 into a large bowl and coat entirely with remaining olive oil. 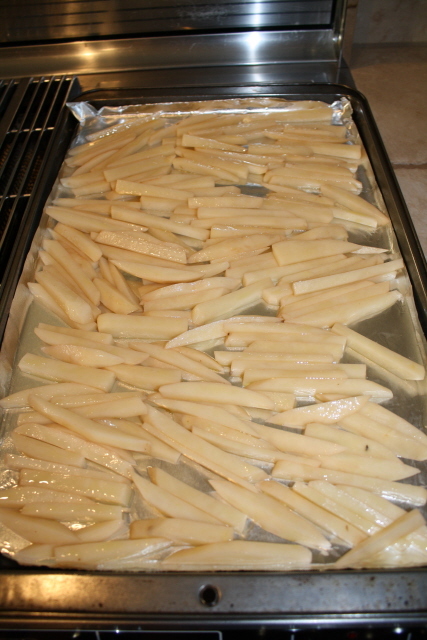 Arrange potatoes in a single layer onto a sprayed baking sheet and bake at 400 degrees for 40 minutes until potatoes are tender and golden brown, turning them 4 times within the 40 minutes. 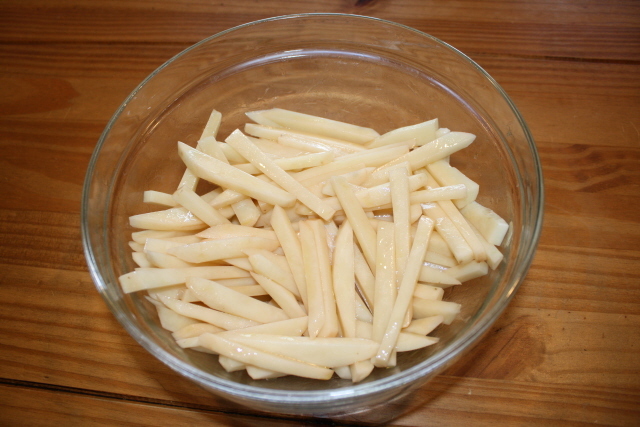 Remove from the oven and season fries while still hot with the sautéed garlic and shallot parsley seasoning. Drizzle with malt vinegar or freshly squeezed lemon juice. Spiced Citrus n' Honey Glazed Carrots Something's Fishy!